Bulletin 6 - December 1978: A Nineteenth Century Mint from the Trucial Oman? A Nineteenth Century Mint from the Trucial Oman? The coins illustrated were first discovered in the 1960's on the beach between Sharjah and Ajman and since then a few have been found at Umm al Qawain and Ras al Khaimah. The coins are cast in copper in a fashion known to have been used in Morocco in the 19th Century but unusual for the Gulf area. They present several unusual features and pose a number of problems in numismatics. The inscriptions on the coins are unreadable and appear to be in a very debased Arabic script such as an illiterate maker of the casting would have used. In fact, there appears to be a series of coins of increasingly debased script culminating in the comparatively unworn specimens shown here. The coins cannot be dated directly, but as they have always been found in association with 19th Century Persian coins, it must be assumed that they are contemporary. Further information can be deduced from one of the places where these coins have been found, which I have examined closely. This is at Al Hira, on the beach just to the east of Sharjah where, before being built over, there used to be a large area of coarse tussocks of grass. This was bounded on the seaward side by a bank of up to six meters in height that was constantly being eroded by high tides. In the exposed face could be seen the remains of campfires, fish bones, shells, some pottery sherds and other camp debris. This camping area is only a short distance from the wells that use to supply Sharjah and the RAF station there until the mid-sixties. 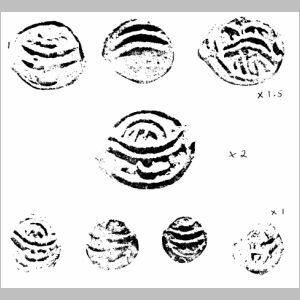 From the evidence of the coins we must assume that during the pearling season immigrant workers, probably with their families from the areas around Dizful and Shustar, near Ahwaz in Iran, came to the Trucial Coast and would need to camp ashore near a water supply. Pearls were not the only attraction, as mother-of-pearl gained a large market in India, Europe and the USA for buttons and ornamentation of woodwork, for example. The oyster shells had to be cleaned and to some extent weathered to remove the fishy smell and were probably graded before sale to Indian traders. I have seem small heaps of shells on the land around the creek at Dubai, left there when the market collapsed in the 1920's. 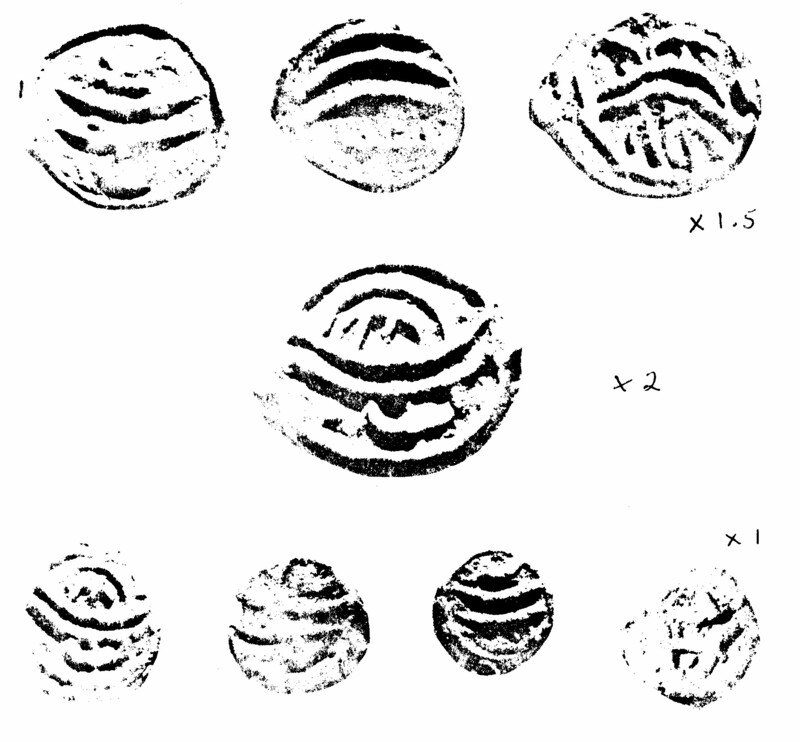 I can find no occurrence of cast copper from Iran during this period so it is possible that these coins were cast locally but whether on the authority of a Ruler, and therefore to be termed currency, or whether introduced by the pearlers, and therefore trade tokens, is impossible at this stage to determine.